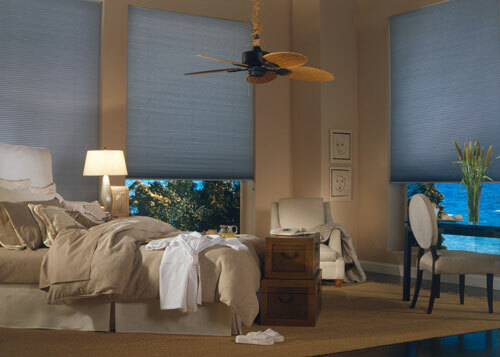 Welcome to Castle Shutters, Southern California's best value for high quality window treatments. We've been selling and installing brand name shutters, blinds, and shades in Los Angeles, San Diego, and Orange Counties since 1988. We carry the best brands in window treatments, available in an extensive selection of materials and styles. Whether you're looking for custom basswood shutters, fabric Roman shades, or low-maintenance and cost-effective vertical blinds, we offer the finest window treatments at the most affordable prices. Castle Shutter's expert installers always provide excellent service, completing every installation in a timely manner and leaving you with a beautiful, flawless new window treatment. Our thousands of satisfied customers are a testament to our experience, expertise, and value. Customizable Window Treatments. Exceptional Customer Service. We are a local family-owned and -operated business committed to providing personalized customer service. At Castle Shutters, you'll deal directly with our owner. If you've already hired us and you need to communicate with us for any reason, just call our toll-free number, and we'll connect you with someone who's already familiar with your project. We provide custom installations for all shutters, and we guarantee your full satisfaction. In addition, every one of our window treatments is backed by a warranty. As another part of our commitment to excellent customer service, we offer free in-home consultations. Our experienced estimators will bring samples, walk you through all of the different options--including your choice of size, style, material, color, and hardware--and take complete measurements for your window treatment(s). We will then provide you with an upfront, no-obligation estimate that will not change once you hire us--no hidden charges, and no surprises. Free In-Home Consultations & Estimates. Call Today! Call us today to schedule your free in-home estimate. We offer a range of high quality shutters, blinds, and shades to fit most budgets, and we can customize your window treatment to meet your needs and your style. We are a fully licensed, bonded, and insured company. "Dear Patrick and Mary, What a beautiful difference the blinds over my sliding glass door in the bedroom have made. With your attention to detail and knowledge of texture, color, and . . ."
"He is very pleasant. He is very business like. He comes exactly when he says he is going to. The shutters are beautifully made. His office personnel are great. The person who deals with his telephone calls returns calls promptly . . ."